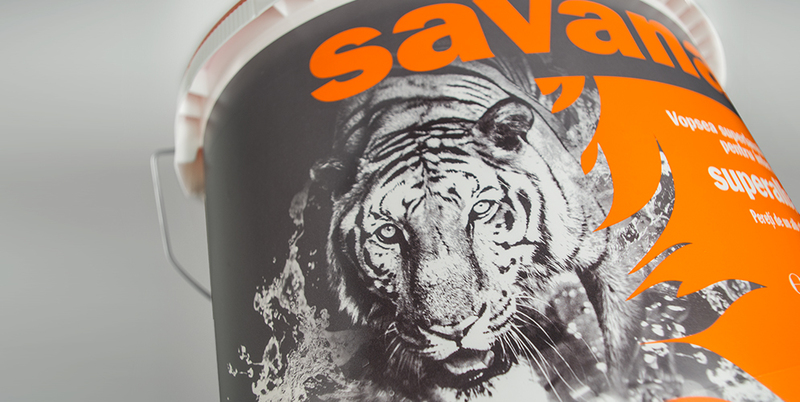 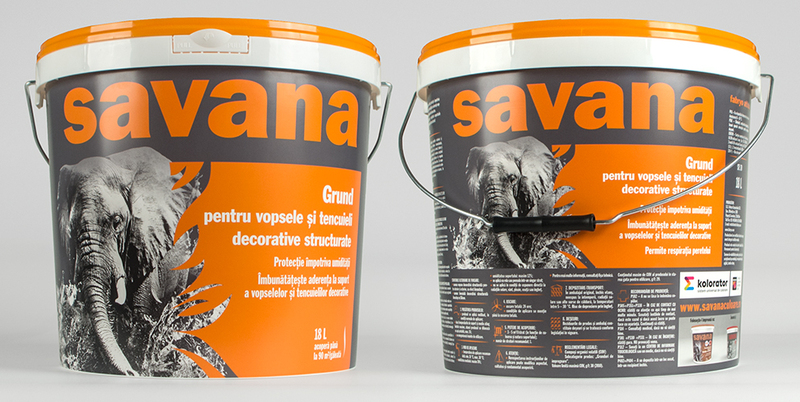 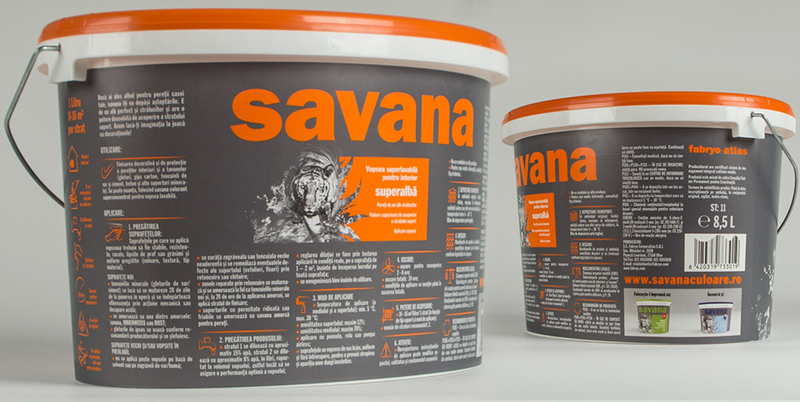 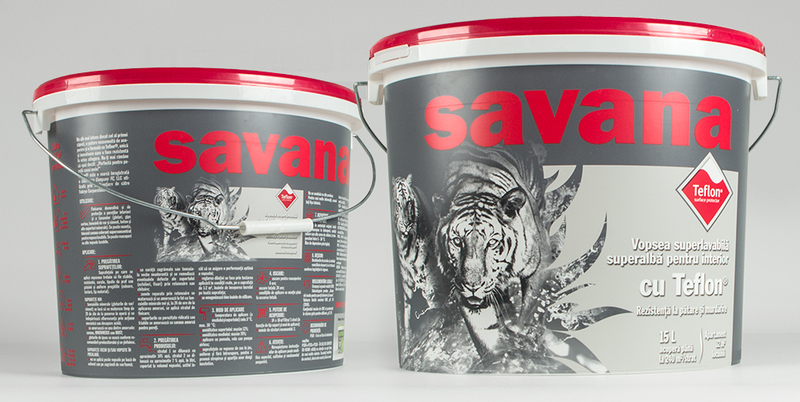 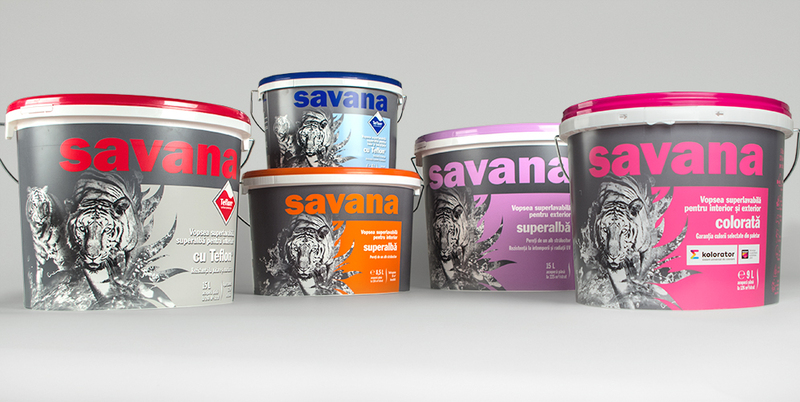 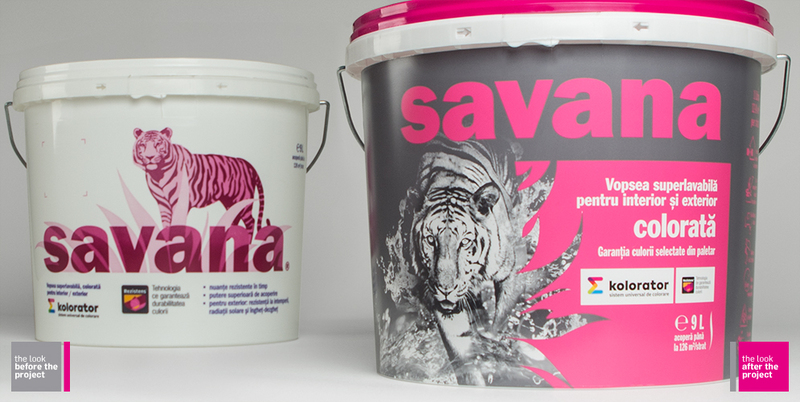 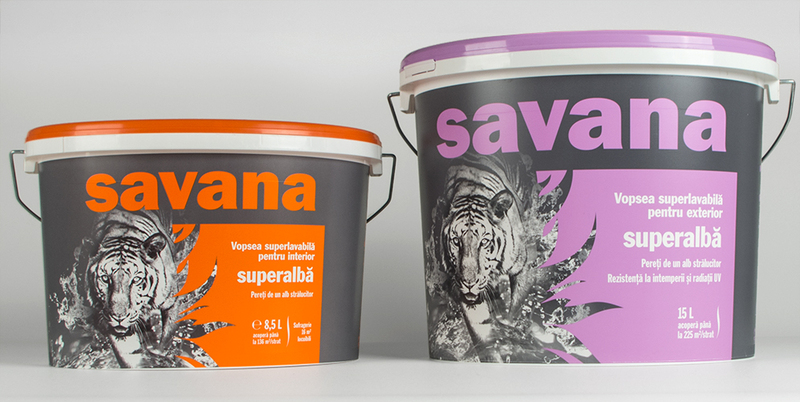 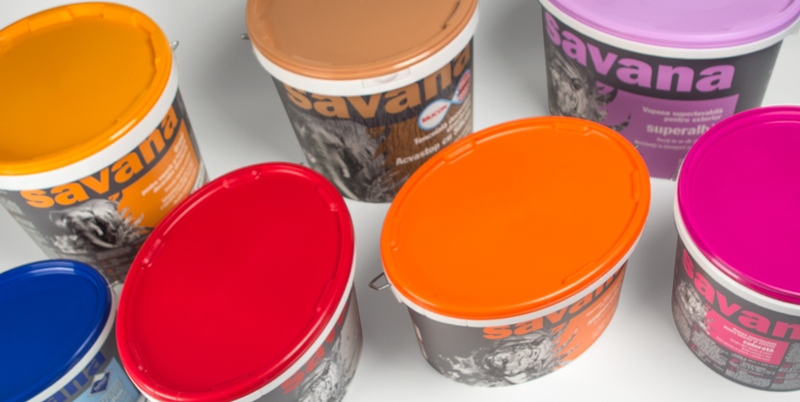 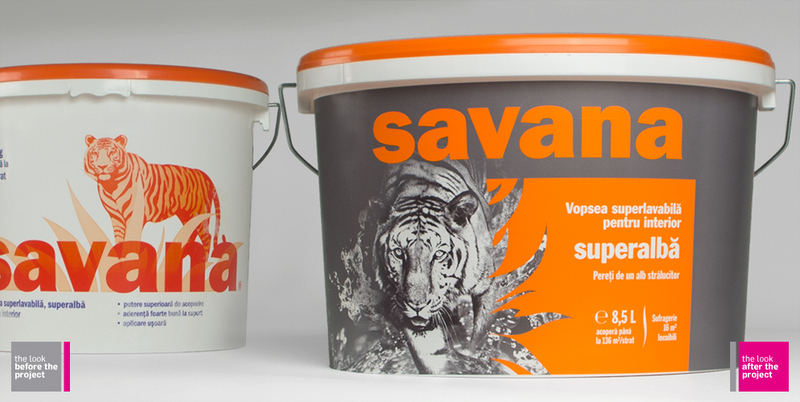 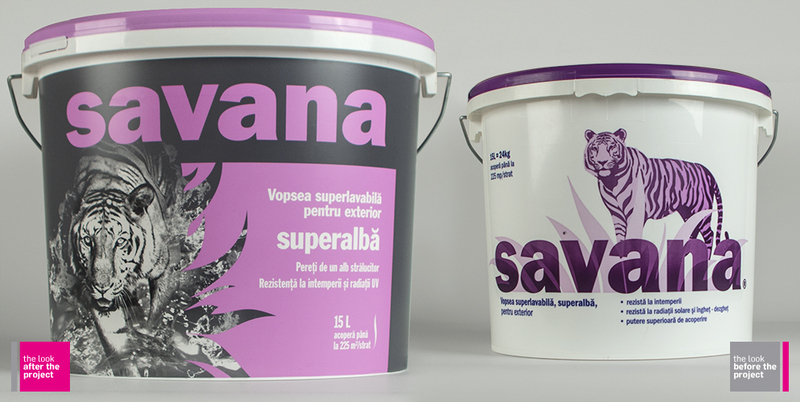 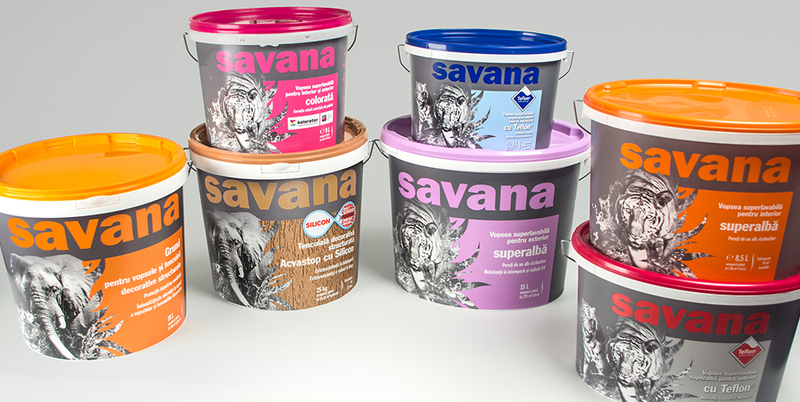 Savana, the leader of the Romanian washable paints market, has always been the most innovative and nonconformist player, developing memorable advertising campaigns and featuring animals on the package design to represent its ‘color’ positioning. 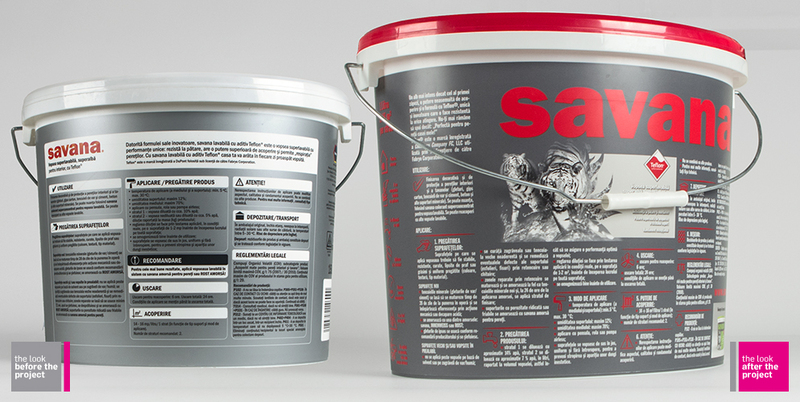 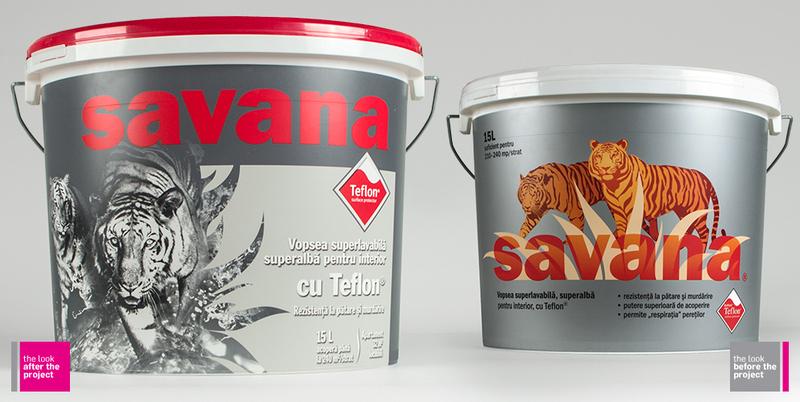 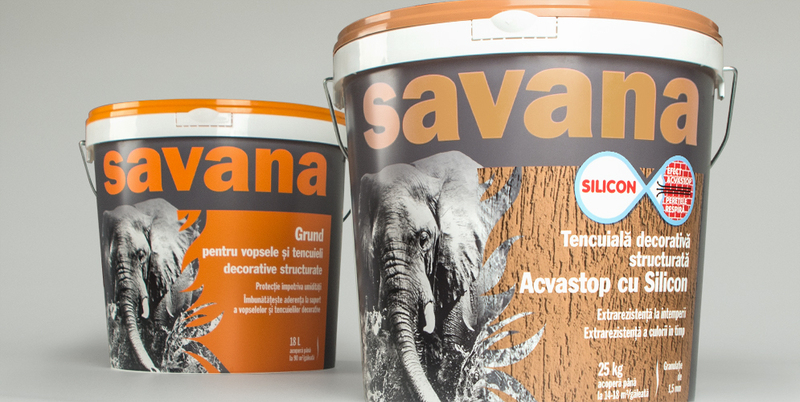 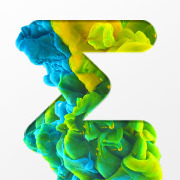 Besides the animals and the ‘color’ positioning territory, Savana was strongly associated with the silver grey color of its best selling product – the Teflon enriched washable paint – also the most washable and the highest quality product on the entire Romanian market. 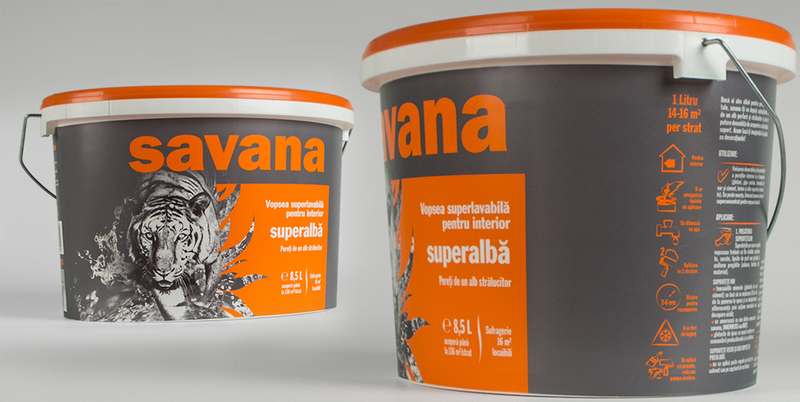 This is why we decided to make the silver gray the brand color that would act as a bridge between all the products and the sub-categories of the brand, thus extending the premiumness and positive associations of the star product to the entire portfolio. 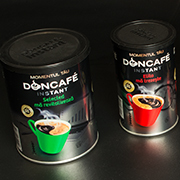 We kept the color coding system used to differentiate between products, but we replaced the colors with more intense shades that would maximize the contrast with the background. 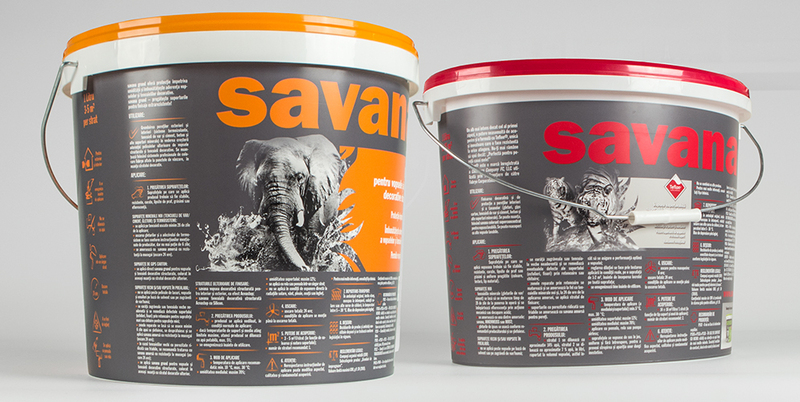 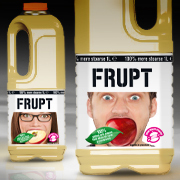 We used real life grayscale photos of the animals, replacing the illustrations used before on the package designs, to make the packaging more memorable, dynamic and visually spectacular.